Serah Vogus and Cora worked with the legendary George Morris during his annual Chicago Clinic at Brookwood Farm. 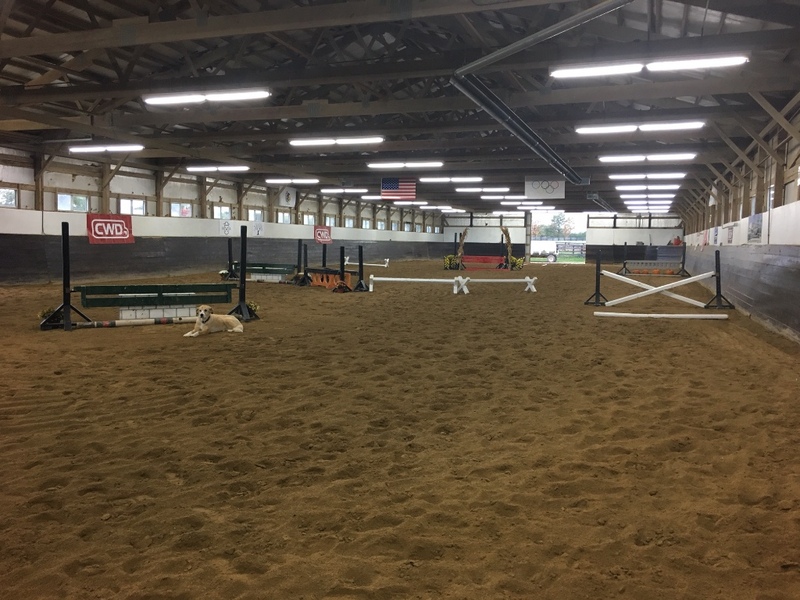 Antioch, IL – November 29, 2017 – For Hunter-Jumper rider Serah Vogus of Millcreek Farm in Antioch, Illinois, the annual George H. Morris Chicago Clinic this past weekend was a culmination of a lifetime of experiences with her four-legged partner, Cora. 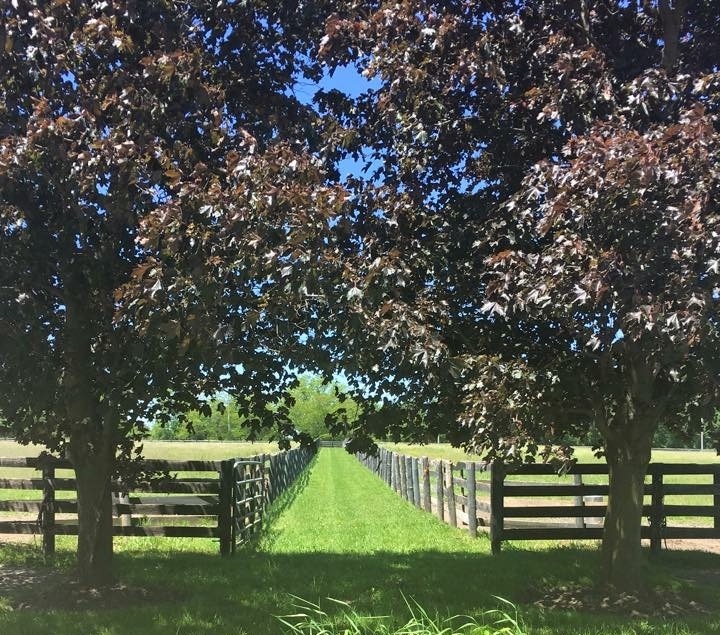 Vogus continues to grow personally, career wise and in her business, with the George Morris clinic as her yearly marker. 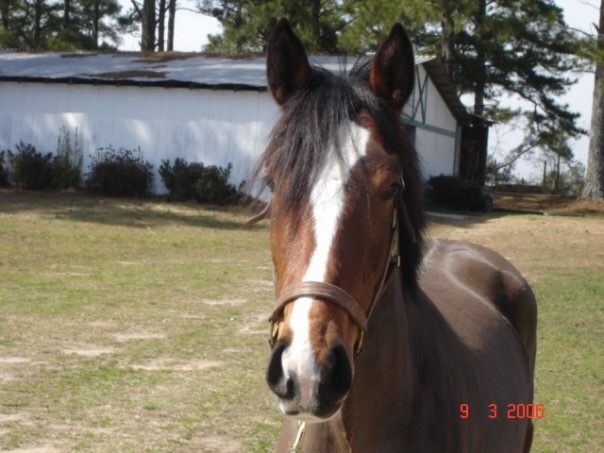 The story began in 2006 when Vogus bought the bay mare, Cora, with her college graduation money. She was working at a corporate job for UPS when the adorable yearling by the stallion, Corlando, bred by Patty Bill, caught her eye. Vogus quit her job working for UPS and moved to Chicago to work for trainer Steve Haight. She bought a two-horse trailer and packed everything she owned into one side of it and put Cora on the other side to head to the windy city. A young Cora in 2006. 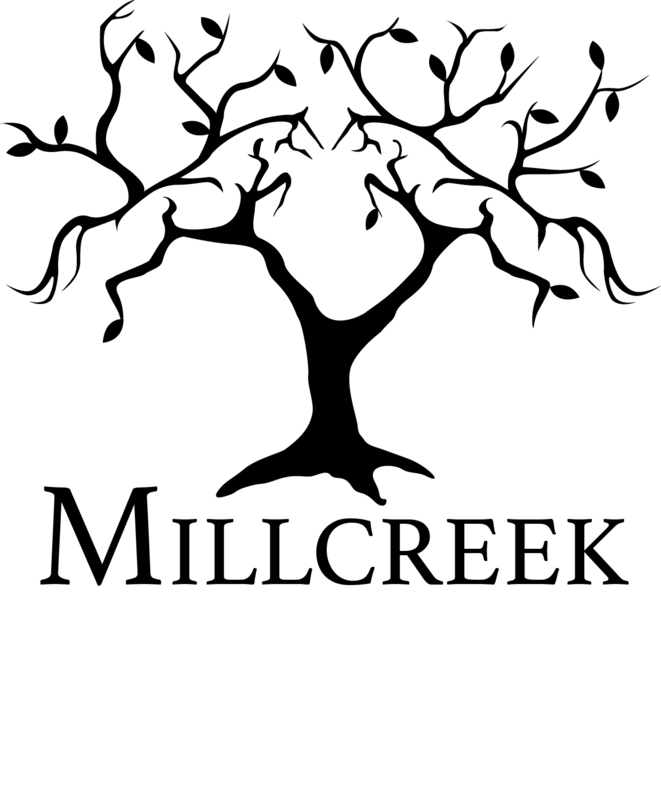 After working for Haight for about 2 years, Vogus moved to Millcreek Farm full time in February of 2008. 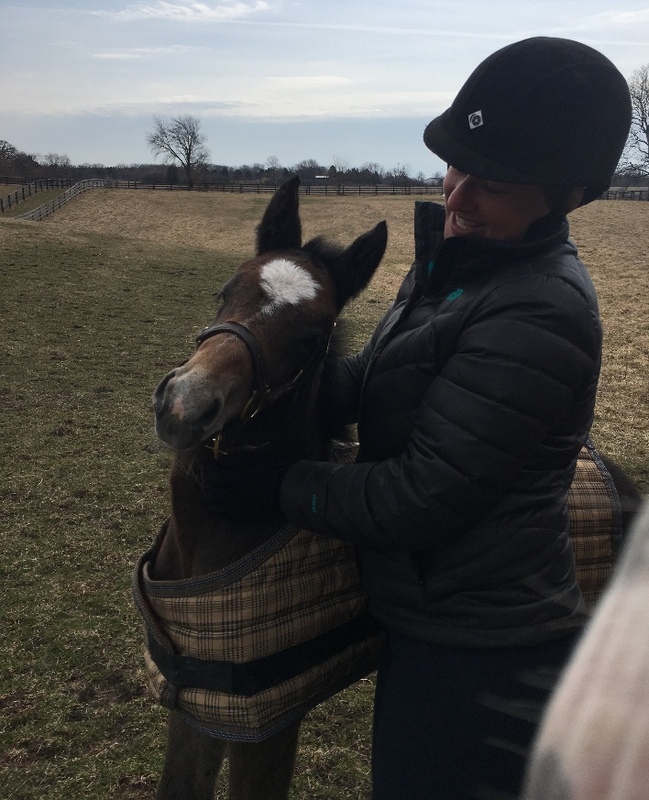 Customer Taylor Sutton moved into the barn in 2010, leasing Cora to do the children’s hunters for the mare’s horse show debut. The young bay showed in the baby green and the pre-green hunter divisions with Vogus and the children’s hunters and 3’ equitation with Sutton. In 2011, Sutton and Cora won the Children’s Medal Finals. 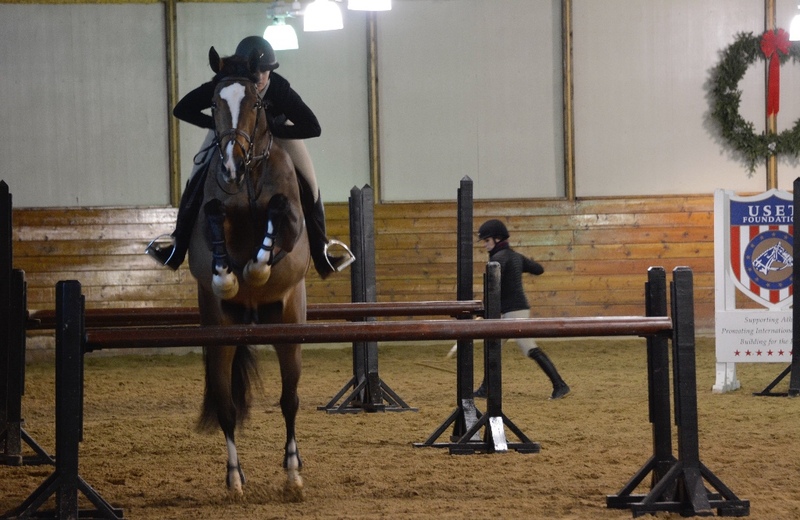 From there, the mare moved up into the junior hunter division and the 3’6” medals with Sutton, throwing in an occasional high children’s jumper class. Off of that experience, Sutton was able to qualify for and attend the Maclay Medal Finals with Vogus as her trainer. Cora was then leased to another student, Carrie Carrollo, and continued to show in the junior hunters. Cora also competed as a low adult jumper for a year, finishing 4th in the zone and earning a championship in Kentucky. Serah Vogus with Cora's colt, Jude. Cora was bred in 2015 and gave birth to a stillborn foal, affectionately known as “Biscuit” in February of 2016. The second attempt at breeding Cora lead to the colt, Jude, in March of 2017. Vogus got the mare back in show condition by November to ride her in the George H. Morris clinic. Vogus has been riding in the George Morris clinic every year since 2012 and has participated in the George Morris Natural Obstacle Clinic. 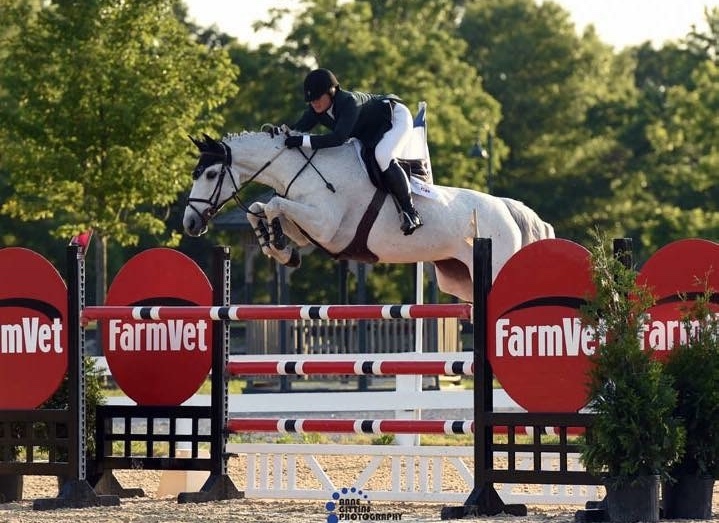 She was also selected to ride in the George Morris Gladstone Clinic – Chicago, held at Brookwood Farm in June of 2015. Serah Vogus and Zamora clear the water jump during the Gladstone Program in 2015. Photo Chicago Equestrian. The George Morris Gladstone Program not only focused on riding, but the hand selected riders participated in lectures from top vets, farriers, Olympians and authors, to learn more about horses, training and management. The program has unfortunately been discontinued, even after earning rave reviews. 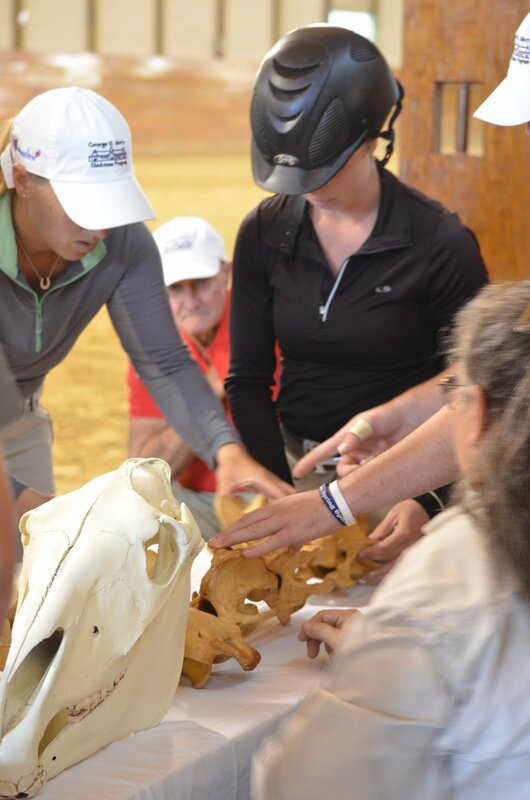 Serah Vogus and a teammate put together the bones of a horse's neck while George Morris keeps a watchful eye during the Gladstone program. Photo Chicago Equestrian. In Morris’ Chicago clinic this year, he emphasized continuing education and the importance of building on the knowledge you have. He admitted he knows more now then when he wrote the ‘Bible’ on forward seat riding and is working on another book to share his additional knowledge. Vogus is committed to learning more and shares that educational spirit with her clients. She has always worked to get where she is, never having the budget for expensive made horses, Vogus made her own. Vogus works with Diane Carney regularly, which has taught her a lot about riding the horse’s brain and expanded her “horse IQ”. Carney’s exercises helped Vogus to be mentally prepared for the questions George asks in the clinic with his exercises. Vogus is taking all her knowledge and experience and growing her Millcreek business after recently leasing the facility and making major upgrades to the property owned by the school district. Vogus provides lessons, training, boarding, showing and sales, attending premier horse shows across the country and locally. 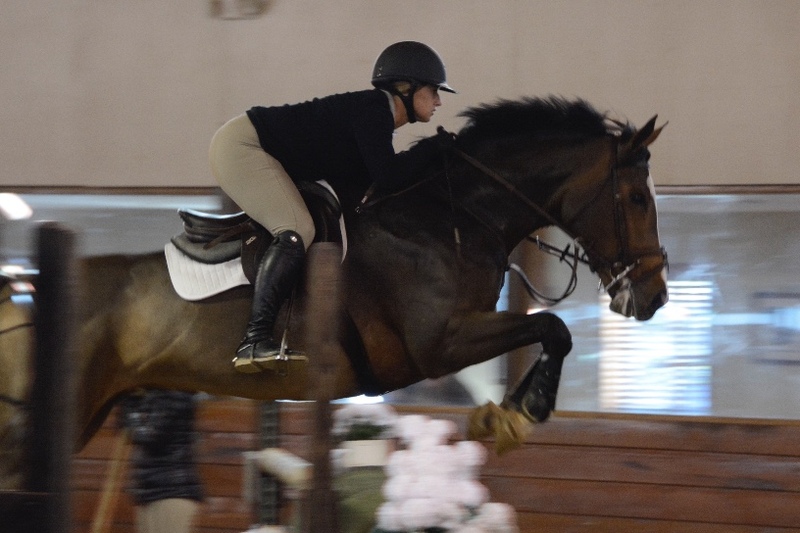 She has experience in every ring from hunters, jumpers and equitation and her experience includes breaking and developing young horses up to grand prix. “I look forward to all the things I’ll learn this year and be able to apply to the next George Morris clinic,” summarized Vogus.